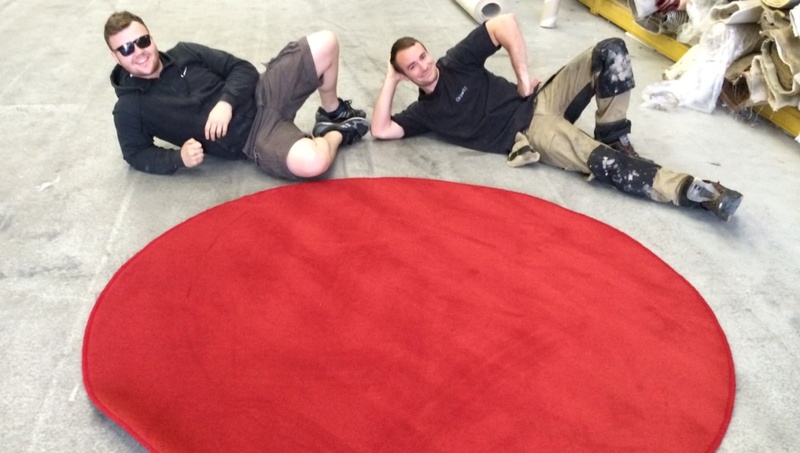 TEDx Glasgow commissions Gravity to manufacture a large round red rug. Many of you will already be aware of the TED Organisation, which provides a forum for the sharing of ideas and innovation. Among the famous figures who have shared their knowledge and skills at TED functions are people like Stephen Hawking, Steve Jobs and Bill Gates, and of course even more illustrious characters, such as Joe & Sam (pictured above).The TEDx project is a spin-off from its bigger brother, TED, and was created to bring the opportunity for reaching a wider audience on an international platform. Recently, Gravity Flooring was commissioned to provide a large, red, custom made rug, which will be used at the TEDx events in Glasgow. We are delighted to be associated with such an auspicious organisation, with our logo now proudly stamped on the TEDx Glasgow website! FIND INSPIRATION FOR YOUR OWN BESPOKE RUG!